Abratex lap sealing oil is made from non-drying oils and is used as a seam sealant for all types of metal roofs. The lap sealing oil swells on contact with water. which happens in the joint. The product must therefore not be diluted. Lap sealing oil is excellent for sheet metal seams or cross-welts. Special brush that fits onto the lap sealing oil bottle. It provides a smooth application of the oil in the seam. 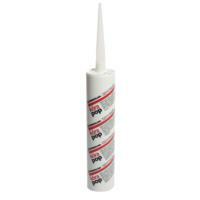 Elastic MS-polymer-based sealant for bonding and sealing. Adheres to most types of factory-painted sheet metal. Excellent for HB polyester, GreenCoat, HardCoat, plastisol, aluminium, copper, zinc, roof tiles, wood, concrete, glass, etc. Bonding surfaces must be clean, dry and free from grease and dust. Silane terminated sealant. Fully curing with atmospheric moisture. Good adhesion on metals (Zinc, Aluminium, Steel etc), primed & varnished metals, wooden materials, many duro & thermoplastics (except PE, PP, PTFE). 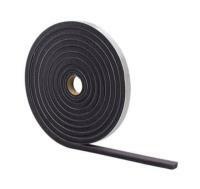 Sealing kit for Prefa gutter systems. Caulking gun for standard cartridges. Automatic non-drip function and with reinforced steel rod. Applicator that guides the seam sealant during applicationto the seam. Reduces the risk of scratches and damage during installation as there is no need to turn the sheet. Easy to control the width of the joint.